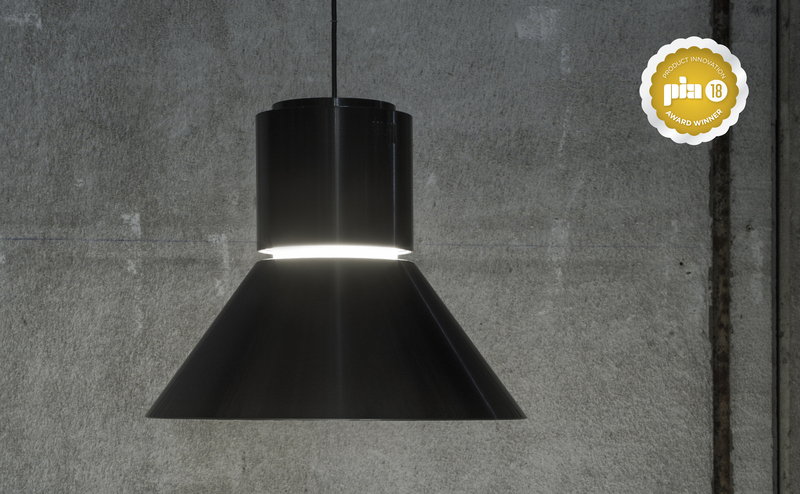 We’re very happy to announce that Stormbell, designed by artec3 Studio, has been selected a winner in the Decorative/Pendant Category in Architectural SSL’s eighth annualProduct Innovation Awards (PIA). 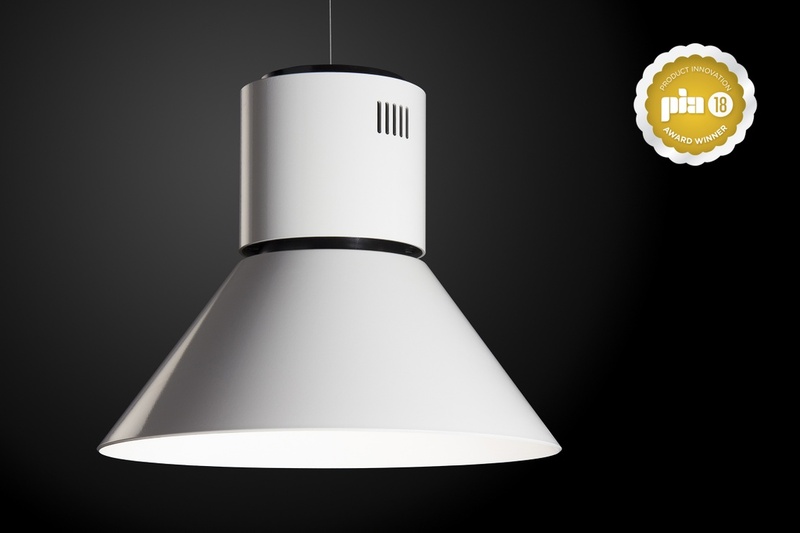 The judges noted Stormbell presents a “simple and elegant design for a pendant-mounted downlight” when making their selection. Each product entry was evaluated on its merit by a seasoned panel of lighting professionals representing lighting design, sales, distribution, manufacturing, architecture, and publishing. Stormbell is a configurable luminaire system which unites timeless styling and classic form with state-of-the-art LED function. The luminaire features an extruded aluminium housing with a white or black finish and polycarbonate shades in a choice of white, black, or opal finishes. Optional accessories include a honeycomb louver, clear tempered glass lens, or an opal glass lens for diffusion and added light control. The companion Stormbell Deco model includes an illuminated band between the housing and shade to create visual interest and ambience. Stormbell is available in lumen packages of 3000 or 5000 delivered lumens in 3000K or 4000K colour temperatures with a colour rendering index of 80CRI. The Architectural SSL Product Innovation Awards (PIA), which take place in the USA,determine and honour the most innovative LED/solid-state luminaires and fixtures on the market, while also recognizing the companies behind the components that make up these light sources. Award winners represent a peer-recognized selection of quality products that the architectural and lighting design community can feel comfortable specifying. We’re also very proud of Hess and Griven from the Nordeon Group, who also have been selected a winner for their products PORTAL Illuminating Column and EKLIPSE in their product categories.